Taste test: These are decent chips, with a very mild lime flavor. It's maybe one-tenth as strong as some of the lime chips that they sell in Mexico. 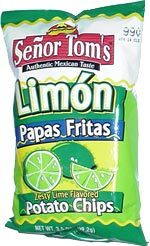 If you want to really strong jolt of lime, these might not be your chip. Smell test: Smells like potato chips. Don't really smell any lime in this bag. Company: Carriage Hills Brands, Inc. 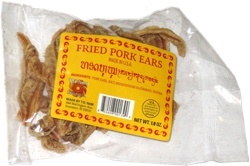 This snack was discovered by Keith and Melissa in Orlando, Florida. Review published .